Widow’s Christian Place: Friday Fun: Everything I Need to Know . . .
Friday Fun: Everything I Need to Know . . .
4. Stay fit. When you're 600 years old, someone may ask you to do something really big. See a life-size replica of Noah's Ark in the Netherlands. Impressive! I always look forward to your Friday Fun posts! That replica of Noah's Ark is pretty impressive! Thanks for the link to the story. 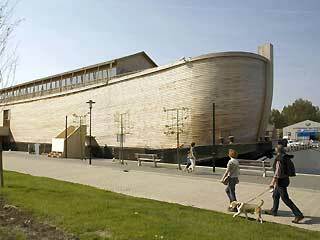 I wouldn't mind visiting Holland just to be able to walk around the Ark. I'm with you Cathy, it is pretty impressive! The Creation Museum in KY has a cross section rebuild of 1% of the interior of the ark. That's a little closer to home for us, but gives a good idea of how massive the thing must have been. Have a nice weekend.